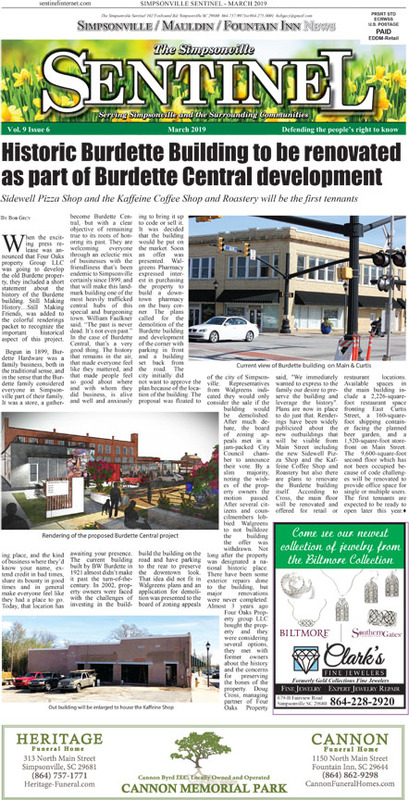 When the exciting press release was announced that Four Oaks property Group LLC was going to develop the old Burdette property, they included a short statement about the history of the Burdette building. Still Making History…Still Making Friends, was added to the colorful renderings packet to recognize the important historical aspect of this project. Begun in 1899, Burdette Hardware was a family business, both in the traditional sense, and in the sense that the Burdette family considered everyone in Simpsonville part of their family. It was a store, a gathering place, and the kind of business where they’d know your name, extend credit in bad times, share its bounty in good times and in general make everyone feel like they had a place to go. In the case of Burdette Central, that’s a very good thing. The history that remains in the air, that made everyone feel like they mattered, and that made people feel so good about where and with whom they did business, is alive and well and anxiously awaiting your presence. The current building built by BW Burdette in 1921 almost didn’t make it past the turn-of-the-century. In 2002, property owners were faced with the challenges of investing in the building to bring it up to code or sell it. It was decided that the building would be put on the market. Soon an offer was presented. 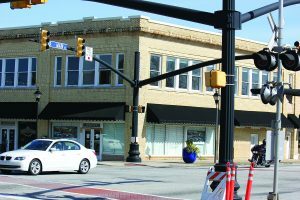 Walgreens Pharmacy expressed interest in purchasing the property to build a downtown pharmacy on the busy corner. 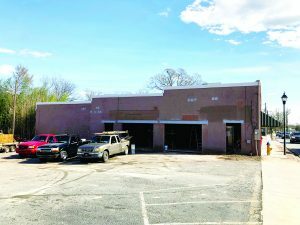 The plans called for the demolition of the Burdette building and development of the corner with parking in front and a building set back from the road. 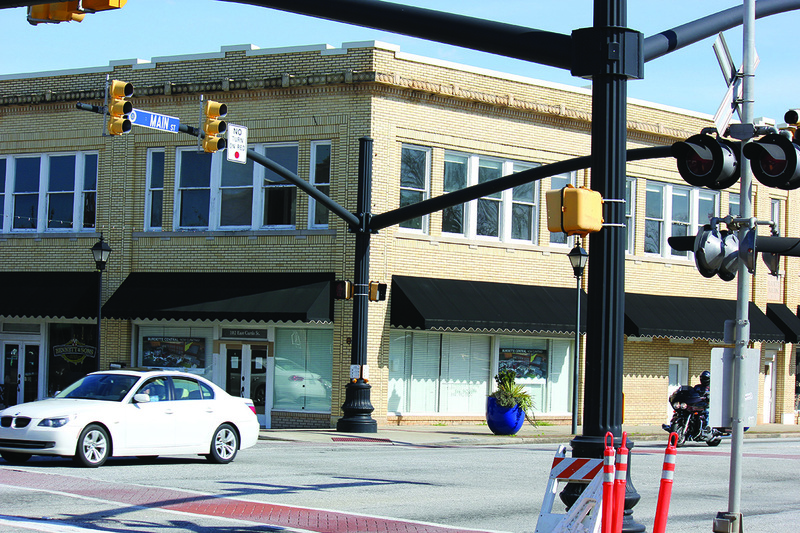 The city initially did not want to approve the plan because of the location of the building. The proposal was floated to build the building on the road and have parking to the rear to preserve the downtown look. 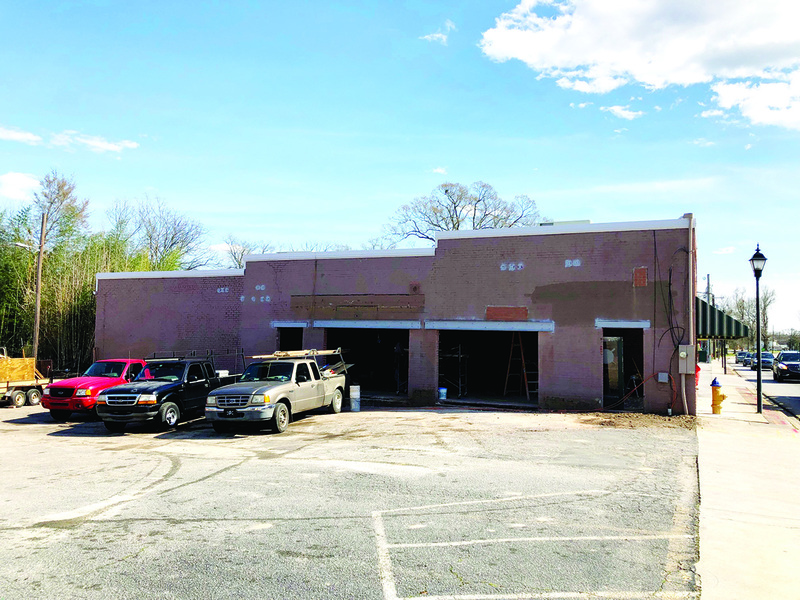 That idea did not fit in Walgreens plans and an application for demolition was presented to the board of zoning appeals of the city of Simpsonville. Representatives from Walgreens indicated they would only consider the sale if the building would be demolished. After much debate, the board of zoning appeals met in a jam-packed City Council chamber to announce their vote. By a slim majority, noting the wishes of the property owners the motion passed. After several citizens and councilmembers lobbied Walgreens to not bulldoze the building the offer was withdrawn. Not long after the property was designated a national historic place. There have been some exterior repairs done to the building, but major renovations were never completed. Almost 3 years ago Four Oaks Property group LLC bought the property and they were considering several options, they met with former owners about the history and the concerns for preserving the bones of the property. Doug Cross, managing partner of Four Oaks Property said, “We immediately wanted to express to the family our desire to preserve the building and leverage the history”. itself. According to Cross, the main floor will be renovated and offered for retail or restaurant locations. 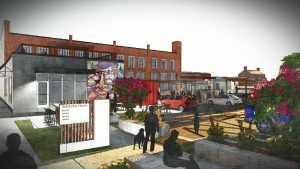 Available spaces in the main building include a 2,226-square-foot restaurant space fronting East Curtis Street, a 160-square-foot shipping container facing the planned beer garden, and a 1,520-square-foot storefront on Main Street. The 9,600-square-foot second floor which has not been occupied because of code challenges will be renovated to provide office space for single or multiple users. The first tennants are expected to be ready to open later this year.